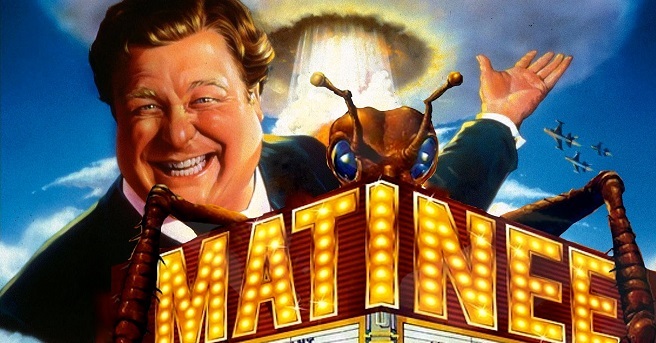 B Movie Nation | Yes There Are Showmen…..
What I don’t believe is that the current studio model and the business being put forward by the circuits is sustainable. Now frankly I think there are some smaller circuits, who are truthful to themselves who I think will take part in shifting the movie going model to one that is sustainable. I think the model will re-invent itself. We need leaders to step up, I think we have them, but they are not in the ranks of NATO, I think that organization, while at one time necessary, has begun to serve too many masters and it’s voice is diminished. In 2005, the Benson’s re-invented the company by entering into a joint venture that allowed Movie Tavern to become the largest and fastest growing operator of dine-in theaters in the United States. The Benson’s sold their interest in Movie Tavern in 2008. At the time of the sale, Movie Tavern operated 98 screens in 12 complexes in 5 states. Jeff present chain, Cinergy started just one year later in 2009 . Right now Cinergy operates in Amarillo, Copperas Cove, Midland, Odessa and is about to open in Tulsa. There is about to be some drastic changes in this business….again. We are going to need focused leadership in order counteract the next play of this industries chess board by Hollywood. VPF’s are falling away and the studios are starting to busily talk about the deep necessity to convert screens into LED Screens that will implement the spec known as Cinema HDR. When I see ads by LG, claiming that their Cinema HDR system maintains the filmmakers vision, I know that someone is about to ask the theaters for a check. It is easy for Netflix to boast that it is rolling our HDR, so the images on Netflix will be better than most theaters. Samsung unveiled its new Cinema Screen , which is an LED, 4K resolution screen designed specifically for theaters. The 34-foot screen delivers High Dynamic Range content and makes the claim that it can display movies at a brightness level 10 times greater than standard cinema projectors. Samsung is setting the price right now between $500,000 to $800,000 per screen. Would love to see the VPF for this, (not really) but that is not going happen. Dolby is now pressing it’s Dolby HDR spec, and has a solution which can be projected, but requires dual laser technology. I apologize if I have embarrassed either Jeff or Vincenzo, but I want to shine a light on some of the leaders in this business who I think can make a deep difference. I wanted make sure people knew that we had terrific showmen still in our midst’s. I wanted to show examples of people who have the ability to lead by example and as well provide inspiration to invigorate this business. I admire both men greatly. We need leadership and we need strong voices to lead all of us into the battle that is about to rise. We need industry leaders to step up, and tell the studios…..no more…we have bled all we can and what you are doing is doing nothing but killing the business of motion picture exhibition.